Home > Kline > Why Klined? The Kline/Close Team Why Klined? Why Forced/Closed? Why have I been klined / akilled? The first reason for an akill/kline is due to a violation of the Serenity-IRC Acceptable Usage Policy (AUP). After reading through the AUP, if you feel the akill was unfair, feel free to contact us and explain your side by emailing Kline@serenity-irc.net. You may also be caught in a kline or akill meant for another user, from your same Internet Service Provider, who did not comply with the AUP. 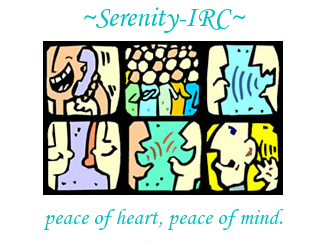 If you believe you were caught in an akill not meant for you, email us at Kline@serenity-irc.net, including as much information as possible. If you are affected by a kline or akill meant for another user, exception lines are set by the Kline/Close Team to allow you to once again gain access to Serenity-IRC. It is imperative that you complete all information, with emphasis on your Internet Service Provider (ISP) address, nickname, and Identd in the email. Where george is your nickname, myhouse is your ident, and 67.69.54.94.rasserver.net is your ISP address. Also include the reference number and the message you see when you attempt to connect. Without this information, the Kline Team will take longer to assist you in rejoining the network and may be unable to help you at all.